Welcome, hoppers! This month we are featuring Club Scrap's May 2015 kit, The Blues. If you got here from Annette's blog, Digital Musings, you are at the final blog of the hop. 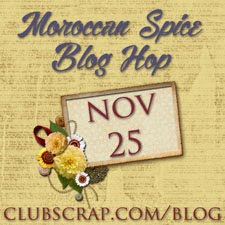 To return to the beginning and see the list of all the bloggers this month, go to the Club Scrap Blog. This month, I have a simple home decor project made with a 6x6 canvas and items from The Blues collection.This project only took about an hour to make. I think the longest part was trying to find some music-related stickers in my sticker stash! This has several layers of paper and some textural elements. 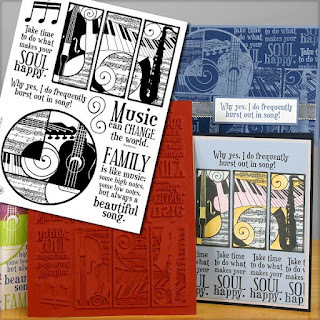 My favorite layer is a trio of circle collage stamps from the Collection unmounted sheet. 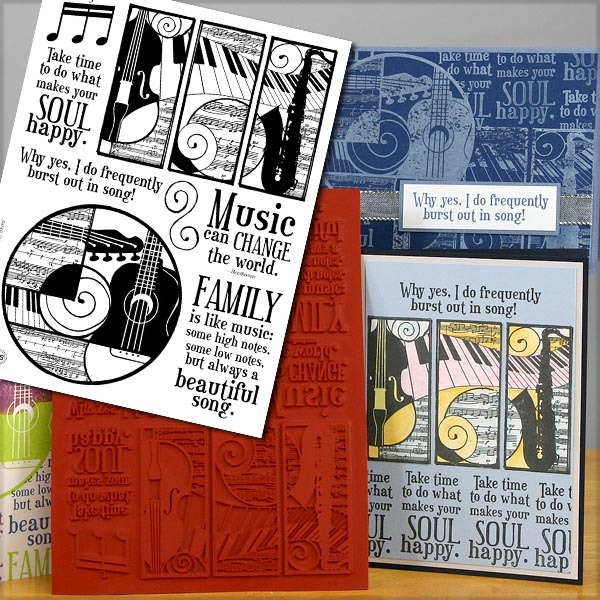 It's stamped three times on the beautiful smooth white paper--perfect for stamping! 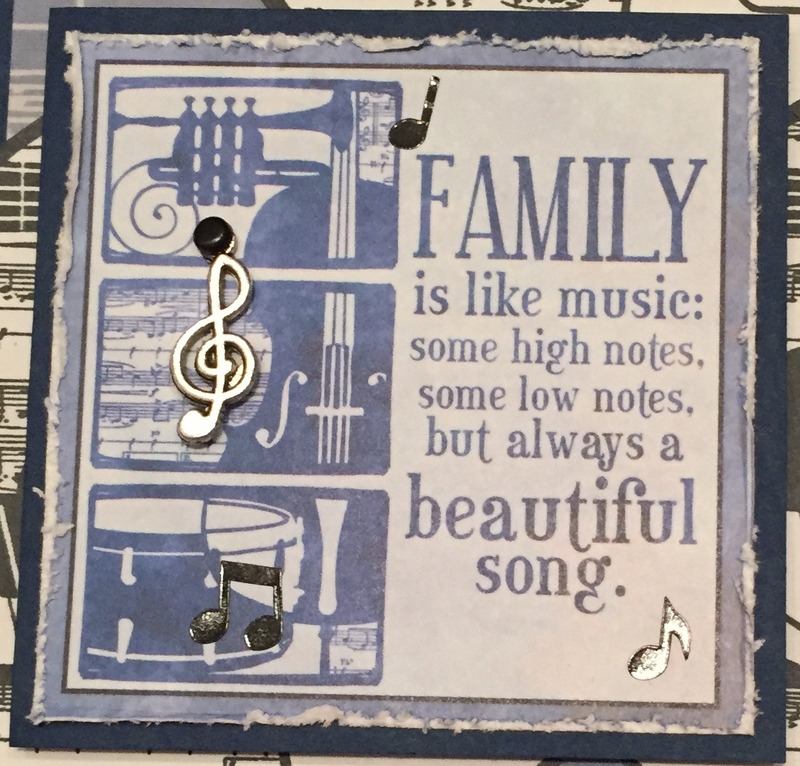 The focal point of the piece is from a sheet of cutaparts in the Embellishment pack. Cutaparts are wonderful pieces of artwork--they really enhance the collection! I enjoy dressing them up a bit; this time I distressed the edges and added some music note stickers from my stash to add a couple more textures. 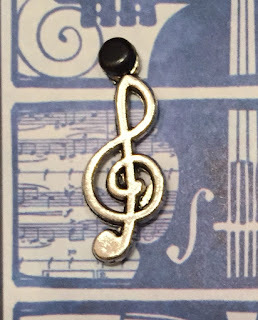 The collection contains several sets of silver charms--music notes, guitars, and treble clefs. Attached with a brad, the charm adds another tactile element. Thanks for stopping by my blog. I hope you enjoyed my project and found some inspiration from all the wonderful and creative projects shared this month. 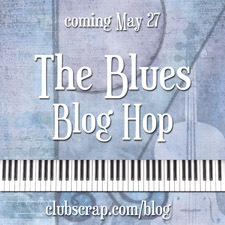 Again, to return to the beginning of the hop, click HERE for the Club Scrap blog. Very pretty canvas Lisa - I love all of the various layers you added. This is totally delightful Lisa. wonderful job! I love all of the elements you combined to make this a smashing hit! Sweet project, Lisa! I felt the same way about the super-smooth white paper we included this month . . . just perfect for stamping! Lisa, what a gorgeous project. Love all the details including the distressed paper edges and that Family quote is the best!! What a lovely canvas. The ribbon-wrapped edge detail is a beautiful finishing touch. Beautiful canvas Lisa! Those silver charms really dress it up! Have a great day! Lisa, this is absolutely a wonderful collage canvas! Wrapping that pretty ribbon around the outside edges is such a great finishing touch to a darling 6x6 canvas, this is so sweet! Thanks again for sharing. Your canvas turned out gorgeous! The accents are perfect! I like the ribbon wrapping. My niece would love something like this to hang on her door! Such an elegant project, so pretty.